At Catalina Veterinary Specialists, serving Tucson, AZ and the surrounding area, we have a mobile vet surgeon. We offer a wide variety of surgeries. Additionally, we always conduct the necessary pre-op and post-op appointments to ensure that your pet is safe. We perform specialty surgeries, not just the most common procedures performed on an animal–spaying and neutering. The surgeries we perform range from head and neck surgeries to orthopedic procedures to urinary tract surgery. Unfortunately, pets are at risk of a number of injuries or conditions that could require head or neck surgery including cancer. Dr. Singer is trained in this variety of complicated veterinary procedures. We offer surgery for mandible and maxillary fractures. We're able to remove the mandible or maxillary bone in the jaw. Removal of these particular areas of the face is necessary if your pet has cancer in these areas. We perform epulis removal of any portion the gingiva, as well as other forms of cancer. Our doctor may perform surgery to correct a cleft palate if it's interfering with your pet's health. 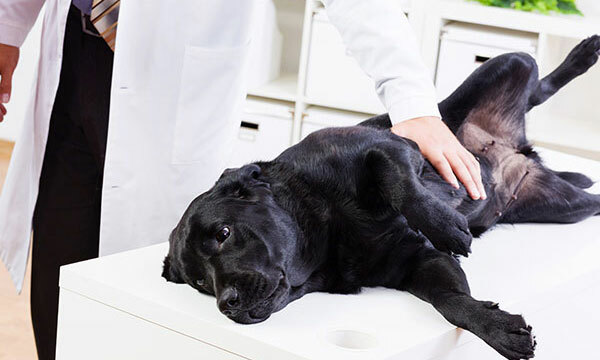 Our orthopedic services allow pets who have fractures to heal properly with the use of plates or a fixator, which is a device used on the outside of the injury to stabilize the bone. For pets who have abnormalities in their limbs, Dr. Singer is able to correct the issue, so your pet walks normally and comfortably. Depending on your pet's condition, we may need to perform surgery on the ear to fix the issue with the structure of the ear. Dr. Singer has advanced training performing thoracic surgery, in particular, removing tumors from the area. If your pet should happen to swallow something he or she shouldn't have and it gets lodged in the esophagus, our surgeon will utilize a surgical procedure to remove the foreign body. Our mobile vet surgeon performs hernia repair surgeries, abdominal procedures, skin surgery and urinary tract surgery like bladder stone removal. In addition to removing tumors, Dr. Singer may perform a biopsy surgery to take a sample of the tumor to analyze it for cancer. To schedule a pre-surgery consultation with Dr. Singer, please call Catalina Veterinary Specialists, serving Tucson, AZ and the surrounding area, by calling 520-312-0003.